Sue Spayth (subsequently Sue Spayth Riley) was a student at Black Mountain College until 1940.Her papers contain manuscripts, typescripts, photographs, and printed items, such as letters, essays, theater programs relating to her work and study, primarily at Black Mountain College (Black Mountain, North Carolina) during the years 1937-1940. Correspondence in this collection continues until 1942. It includes letters from college friends (principally Phyllis S. Josephs and Robert M. Sunley), and also relates to work done for The Biological Bulletin at Woods Hole, Mass. Includes manuscripts, typescripts, photographs, and printed items (letters, essays, theater programs, bulletins, pamphlets, and class papers). Sue Spayth (subsequently Sue Spayth Riley) was a student at Black Mountain College until 1940. Her papers contain manuscripts, typescripts, photographs, and printed items, such as letters, essays, theater programs relating to her work and study, primarily at Black Mountain College (Black Mountain, North Carolina) during the years 1937-1940. Correspondence in this collection continues until 1942. It includes letters from college friends (principally Phyllis S. Josephs and Robert M. Sunley), and also relates to work done for The Biological Bulletin at Woods Hole, Mass. Sue Spayth Riley, daughter of George W. and Annis (Salsbury) Spayth, was born at Houston, Texas, and was brought up in New Jersey where her father was editor and publisher of a chain of weekly newspapers issued from the towns of Dunellen, New Market, South Plainfield, and Middlesex, N.J. She was given a progressive education at the Modern School in Stelton, N.J. She attended a public high school in Dunellen, N.J., before entering Black Mountain College in January, 1938. Having strong leanings toward writing, dramatics, and dancing, Miss Spayth chose the field of dramatics when she entered the senior division of Black Mountain College in the fall semester of 1939. In addition to roles played in the annual student/faculty Thanksgiving entertainments of 1939 and 1940, she played the part of Gunhild Borkman in the college production of Ibsen's play, "John Gabriel Borkman" at the close of 1939, and early in 1940, the role of Lady Macbeth in Shakespeare's tragedy. Long interested in developments in modern dance, Miss Spayth taught a dance class at the college during 1940. Economic conditions obliged her to terminate her studies at the college in December, 1940. Miss Spayth later earned her bachelor of arts degree at Goddard College, Vermont, and her master's at the University of North Carolina, both in early childhood education. [Identification of item], PC.1922, Sue Spayth Riley Papers, Western Regional Archives, State Archives of North Carolina, Raleigh, NC, USA. Gift, Sue Spayth Riley, Black Mountain, N.C., 2002. 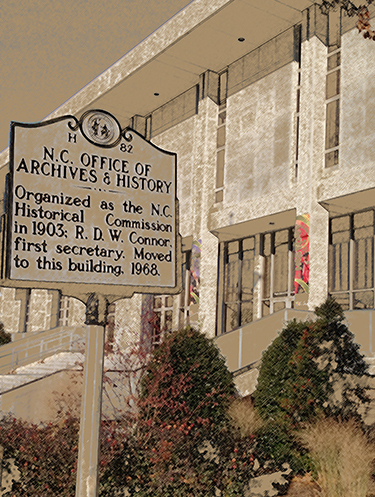 During March-April, 2012, these records were moved from the State Archives building in Raleigh to the Western Regional Archives, Asheville, N.C.
PC.1678, Martin Duberman Collection, 1933-1980. North Carolina Museum of Art, Black Mountain College Research Project, 1933-1973. Correspondence in this collection ranges in date from 1937 to 1942.The earliest correspondence relates to plans for entering Black MountainCollege, while the remainder is, for the most part, from college friends(principally from Phyllis S. Josephs and Robert M. Sunley). The 1942correspondence relates almost entirely to work done for The Biological Bulletin at Woods Hole, Mass. Photographs in the collection include some from the dance class she taught, casual photographs of students at Black Mountain College, photographs made at the time of the college productions of "Macbeth", and photographic portraits of Miss Spayth. Also among the papers will be found two summaries of her experience at Black Mountain College during the school years 1938/39 and 1939/40. Publications in the collection include college bulletins and catalogs,theatre programs from productions mounted at the college in which Miss Spayth(or her first husband, Jerry Wolpert) had roles, and a reprint from Harper's Magazine (May, 1937) of John A. Rice's article, "Fundamentalism and the Higher Learning". Student essays in the collection are from Miss Spayth's drama studies during her senior division work, 1939 and 1940. The student writings, on the other hand, are from her coursework under Rice and others at the college. (There are a few pieces that either pre-date or post-date her studies at Black Mountain College.) An empty small three-ring notebook in full morocco, used by Miss Spayth at Black Mountain College, completes the collection. Rice, John Andrew, b. 1888.